Hello all. Back from Brussels, many thanks to Ed P. for the National Socalist tax history. At least, I think thanks are in order. Ever since I read the post, I can’t get out of my mind the image of an enthusiastic National Socialist accountant. Did they wear brown eyeshades? Now to new stuff. First, a bleg (blog-beg). 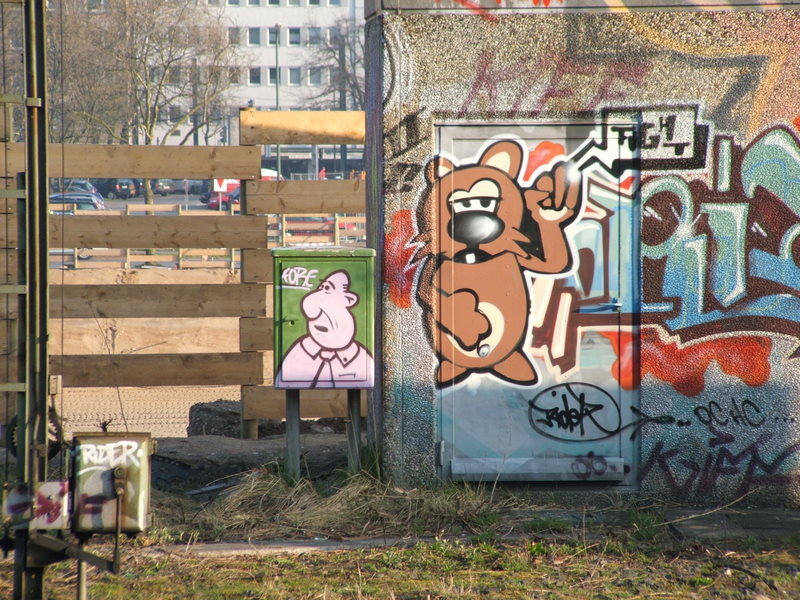 Take a look at this photo, which I took at an ordinary train station in Duesseldorf. Can anyone tell me who the bald, puzzled-looking man in the pink shirt is? I see similar graffiti all over, which makes me think it must have some distinct meaning. Any help would be appreciated. Apparently, he wrote "The Communist Manifesto" in this restaurant’s fetid confines. A German friend assures me that a visit to the Marx House in Trier is on the agenda of almost all Chinese package tourists. I thought at first that the alopecic man is Bruno, the so-called “HB-Männchen” (http://www.reklameblogger.de/2005/10/20/das-hb-maennchen/). But he lacks Bruno’s insouciant charm. 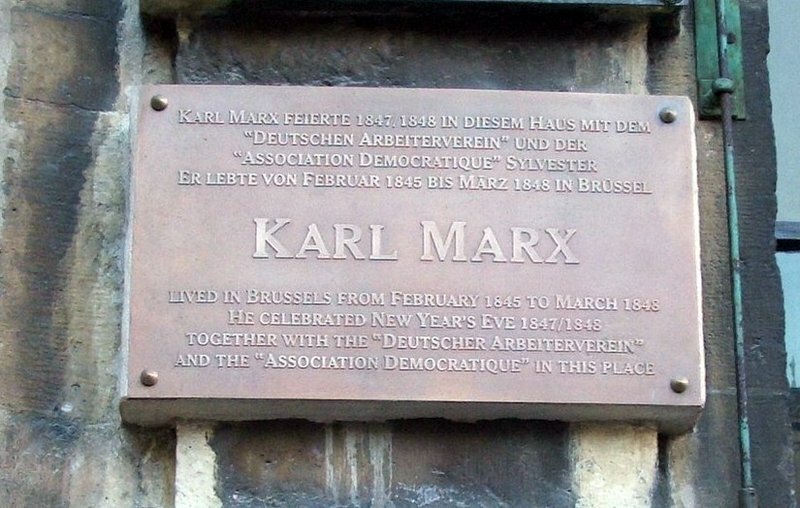 When I lived for a short while in Trier back in the 80’s I was told that the Karl Marx House was in the city’s red light district. Nor that I had the opportunity to verify that allegation…. I’ve been to the same place, Andrew, but I confess that ‘La Cygne’ did not strike me as being at all ‘fetid’. More of a fancy tourist trap with very fancy prices. How it was in 1847 one can only surmise….